Lately, I have been living in my workout clothes 80% of the time. I put them on when I wake up to walk the dogs, work in them, train with them, shop in them, lounge in them, and I’m currently wearing workout clothes while sitting here at the airport. I changed into them on as soon as I made it past security. They’re simply the best. 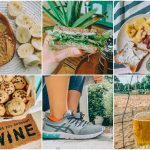 I love choosing thredUP for my fitness clothes because they have so much to choose from and are the largest online store for high-quality secondhand fashion. I found so many of my favorite brands for up to 90% off! The last time I used thredUP, I picked out some cute fall outfits. I was excited to keep my order all about fitness this time. As you all know, I’ve been training for my half marathon the past six months. I spend my week at the gym, at yoga, and out running. I was in need of some fun new spring workout clothes. I SAVED $312.11 on all of my items, and they all looked brand new. Some of them even had their original tags. The items are triple inspected before being sent out. If there is a stain or a tear, they’ll state it in the details. Thousands of items are added daily, so I’m ALWAYS on there stalking the latest items every morning. Whenever I receive a thredUP box, everything is neatly folded. They add cute little tags and tissue paper too. They make the experience almost like opening up a new present. Like many women, I go up and down in sizes. Buying expensive fitness clothes that aren’t going to fit in a couple of months is pointless. That is another reason why shopping secondhand for fitness clothes is smart. If you are going through a weight loss journey, thredUP will be your best friend! You can sell the clothes that don’t fit and buy clothes that do all in one place for a reasonable price. Under Armour is one of my favorite brands for running pants. I love how light and airy they are! I was so shocked to see all of the options on thredUP. The coral Under Armour pants I’m wearing in the photo were only $17.99 and $45.00 at full retail price. The fitness top was from Gap and only $16.99! Its retail cost is $54.00! What I love about Gap tanks is that they stay attached to your body during workouts. I hate going to yoga class and having my shirt fall to my face during poses. What I don’t like is the cost, and that is why I’m so happy thredUP had some Gap tops! Searching for particular items on thredUP is so easy. 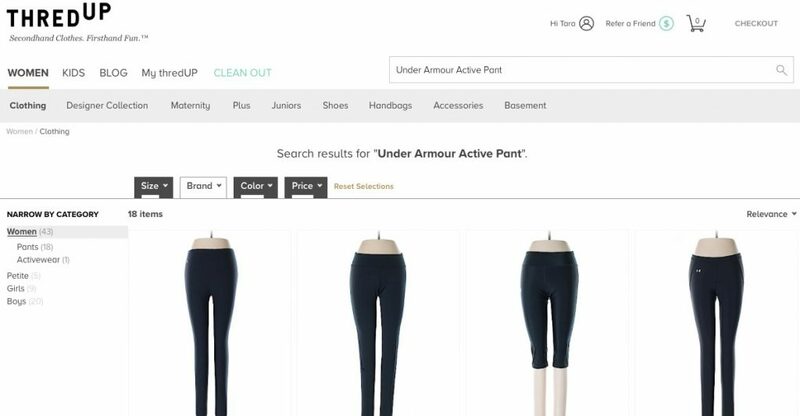 When I’m looking for Under Armour bottoms, I just type in “Under Armour Active Pants” or “Under Armour” and select sizes and colors to minimize the search. It’s so easy and fun to do! You can search any of your favorite brands like Lulu Lemon, Jcrew, Lily Pulitzer and more! This purple and white running outfit is my favorite! I might even wear it during my half marathon. The top was the white version of the Gap tank above, so it’s a perfect fit! The bottoms were $17.99 retailing at $45.00, and the top was $16.00 retailing at $54.00. There is nothing I love more than a crisp white jacket. White is on of my favorite colors to wear. The crazy thing? This jacket was under $10! It’s a Lady Hagen (one of my favorite golf brands) jacket, and I couldn’t believe my eyes when I scored this one! I own like five Lady Hagen golf skirts and I can’t wait to rock this jacket with them. The jacket is too cute to only wear for golf too! I plan on taking it with me to NYC when I’m there for my half. I promised myself that I was going to play more tennis and golf this year. I picked out a couple of new sporty outfits for the summer sports. 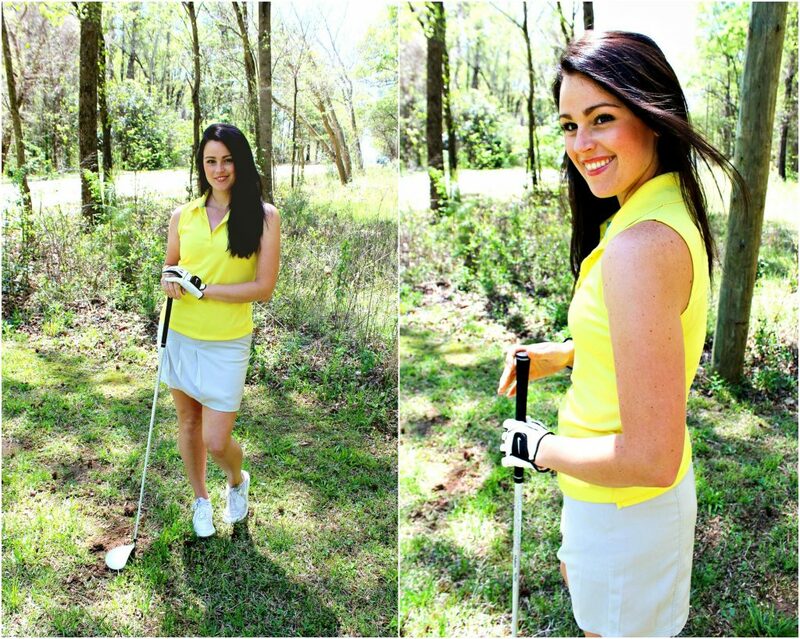 The top is an Under Armour sleeveless polo, and it can be worn for tennis or golf! I snagged it for $14.00, and it retails at $54.00! The golf skort still had it’s tag, too! Its retail price was $71.00, and I got it for $24.00! WIN! 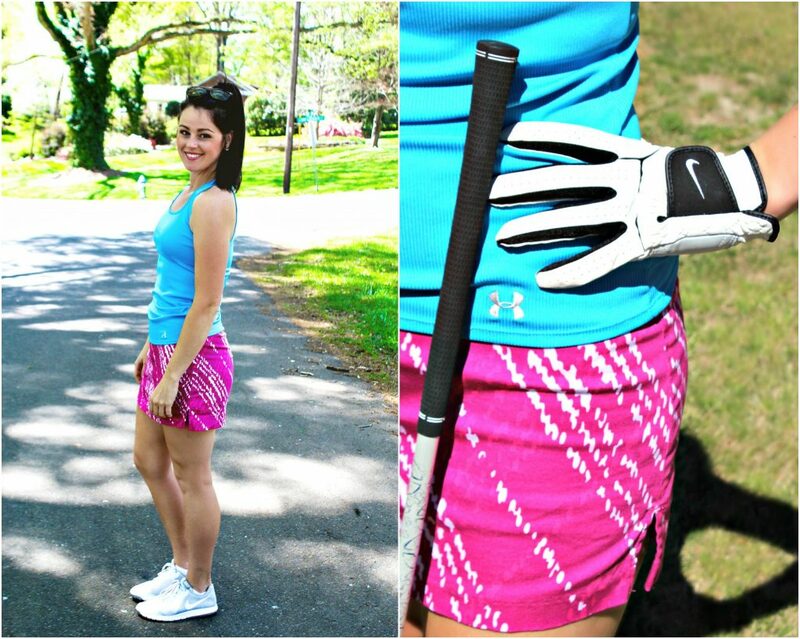 I found this fun outfit for golf and tennis! See the blue tank I’m wearing? I got the same top in orange as well! It’s also Under Armour. Those tanks were only $14.99 and retailed at $45.00! The skirt was the best snag of all! ONLY $5.99 and it was Lady Hagen! It retailed at $18.99. Not only can you save money with thredUP, but you can earn money. If you do any spring cleaning this year, don’t throw out your clothes! Just order a thredUP Clean Out Kit! You can fill it with items you don’t wear anymore, place the kit on your front door for pick-up, and let thredUP do the rest of the work. Before you send in your clothes, you can check the thredUP website to see what they accept and don’t accept. You can also see what your estimated payout will be for each item. It’s a super convenient way to clean out your closet from clothes you no longer wear. Even if you don’t want to make money, you can choose a charity to donate too! I love that idea. Want to win a $250 thredUP shopping spree? Just visit thredUP and share a link to your favorite item in the comment section below!! Hey girl! I have no idea if the contest is still going on or not, but I wanted to say thanks for sharing! What a cool idea! I’m definitely going to be trying this out. I had no idea it existed! I’m so excited to place my first order! Nike has the best leggings for running. I can’t wear shorts when I run because they constantly ride up and its so ANNOYING so I am always looking for good leggings. (Bad bad bad ankles so I steer clear of capri pants 😀 ) Most leggings are too thin or make it feel like you are suffocating after mile 4 but these are THE BEST EVER. They are thick enough so you don’t feel naked yet completely breathable and light. Highly recommend them to anyone looking for comfortable leggings to run long distance in. good to know that gap tanks don’t fall down! That’s been my eternal struggle. Thanks for the tip, looking forward to trying a gap tank top! Def gonna try this site and also do their “clean out” kit. My fitness clothes could use some fresh pieces. Love this coral jacket for spring ? 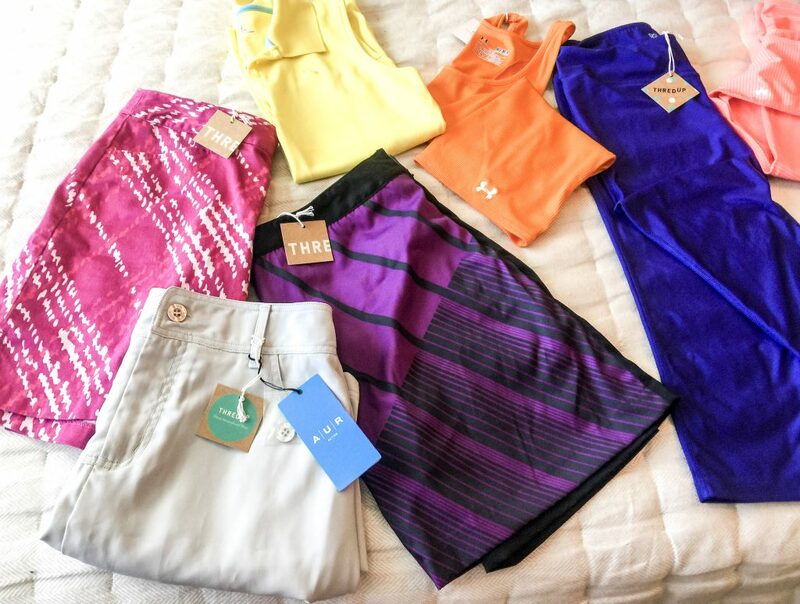 https://www.thredup.com/product/women-the-north-face-athletic-shorts/24529572 I love how vibrant this color combination is! The last time I posted something on your website about ThreadUp it was a clothing item for a job interview. I bought it, wore it, and got the job! I love this Nike jacket! Last time I posted on your website about Thread up I picked something for a job interview. I bought it, wore it, and got the job! Love everything but this looks so comfy! Thanks so much for posting the cutest stuff and letting us know about thredUp! I can’t wait to shop here! My active clothes are all black or grey. I never tried bright color because I don’t want to be look fat or big. (you know, black always make everything look slimmer.) After I saw your post I really want to try bright colors. It will brighten my day and I will success to reach my weight lose goal! Love lululemon but can’t stomach it at full price. This would be awesome for my orangetheory classse! ?? This one! ☺️ I’ve heard of this brand before & of thredup but never tried it. After reading this I just might have to try both! ? This top would go with so many things! This Under Armour tank is so cute! I love this style for runs! oh yay!! so happy to hear that!!! I would get a long-sleeve running shirt like this one to take the chill out of early morning runs! I also love their athletic/comfty selections!!!! This would be perfect for my bridal shower! I love going to Soul here in NYC but the apparel is so expensive! I would love this dress and more cute clothes to fill out my summer/ work wardrobe! I love thredUP, especially for denim. I scour the site quite often looking for higher end pairs. It’s nice to get spanking new jeans, but sometimes it isn’t nearly as financially appealing. I have picked up many pairs and they’ve all pretty much been as described. https://www.thredup.com/product/women-lilly-pulitzer-long-sleeve-button-down-shirt/21243973?shortcut=4348&sizing_id=781%2C765%2C790%2C791%2C554%2C782%2C778%2C551%2C795 I love the colors on this! I need this jacket in mahh life! I love the bright color of these shorts!!! …so much so that I just bought them lol. https://www.thredup.com/product/women-ac-sport-active-tank/23402316?sizing_id=755%2C751%2C534 – perfect for yoga! 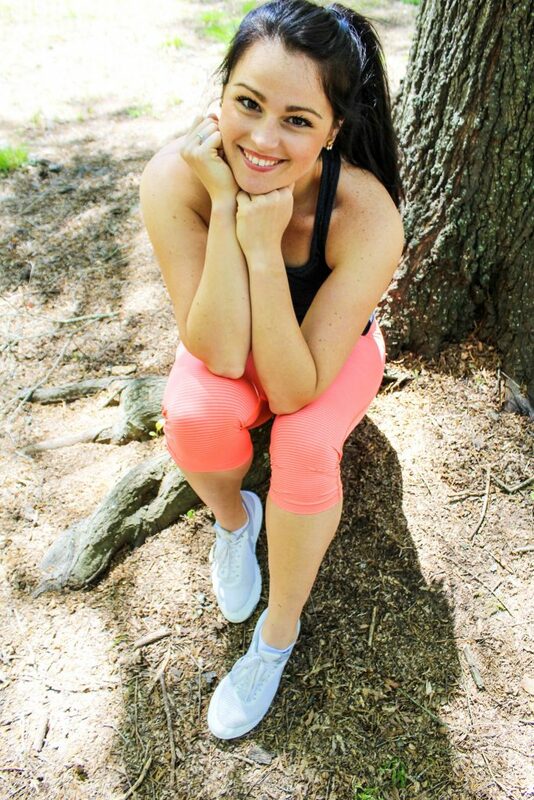 https://www.thredup.com/product/women-athleta-active-tank/19494625?sizing_id=755%2C751%2C534 – i could have all of the workout clothes in the world and it wouldn’t be enough! loving shopping on thred up and have LOVED your blog!! https://www.thredup.com/product/women-new-york-and-company-long-sleeve-blouse/24125910?sizing_id=812 This top caught my eye! I love Fila activewear & the color is so summery! This sports bra and top! So pretty. I’m 4 & 1/2 months pregnant & LOVE to buy secondhand maternity clothes since I’ll only be wearing them for a few more months. I’m 4 & 1/2 months pregnant & LOVE buying second hand maternity clothes since I’ll only be wearing them for a few more months. Always needing new sports bras and this one is super cute! Thanks for writing about this site, I had never heard of it! New go-to! What an amazing giveaway! I just bought a bunch of stuff on Thred Up for my daughter (she is in the athleisure wear only phase) I am personally liking this Nike tank. Best of luck with your marathon this weekend! You will do amazing! I found SO MANY THINGS! First thing I found was this top https://www.thredup.com/product/women-lucy-active-tank/24242467?sizing_id=795%2C806%2C563 there were some really cute sports bras too. <3 Love this site, thanks Taralynn! Good luck on your half marathon. I’m currently training for a 10 mile race. I’ve never tried this, but it sounds really great. I need some new tops and I really like this one. This may seem simple – but how cute and feminine! And the yellow just makes me excited for summer (I mostly wear black and neutrals!). I like to look and feel good when I’m working out or just lounging in my active wear (haha), and this tank looks like it would be flattering. I’ve tried other sites like this, but never Threadup. Thanks for introducing me to it! I have a pair of white wedges that don’t go with much. Need to find more clothes that match my shoes!! Ahh there are too many things to pick just one! I saw these shoes and loved them! I love these pants! I love wearing bold and bright patterns to workout, the colors spark extra motivation. Looks like I’ll be using threadup in the near future! Goodbye paycheck, hello fun fitness attire! So cute! Can be casual or worn to work ?? I know this seems like a simple tank top, but it’s so feminine! I wear mostly black and this gorgeous yellow caught my eye and is making me excited for summer! Also, I love to feel and look good when I work out and this shape seems like it would be really flattering. I’ve tried other website like this, but never ThredUp! Thanks for introducing me to it! Not sure I could run in these, but definitely nice summer shoes! I cannot believe the price! Love this Marc Jacobs top! Their fitness stuff is great too! Nike shorts are my go to – love them! Can’t believe this Athleta jacket is only $17.99 – I love that brand! Do you only do “new with tags” or will you order “like-new” or “gently used” too? Normally I won’t do pink, but i like these! I do anything that looks cute! NEW OR USED! I just make sure to wash it once it gets home! First off, you are so pretty! Secondly, https://www.thredup.com/product/24194549 which I love bc Nike is the best but soooo expensive! ✋ Especially with how UNPREDICTABLE Michigan weather is (you know how it is! ? ), I can never have too many jackets and other items to layer with! What a steal for this North Face jacket!! Would love it for our hikes and other outdoor activities throughout the year ? I love a cute run short! PS- I’m so glad you posted this. I love ThredUP and have tried to search for workout clothes before, but whenever I go to the “Activewear” section it’s just a bunch of frumpy sweatpants from the 90’s. I never thought about just using the search bar! this track jacket is to cute and so cheap too! Nike Track Jacket in my size and excellent condition for $11.99? SCORE!!!! I shop thredUp at least once a season and check in often to watch for deals and clearance on items I like. Thanks for the awesome giveaway post! This beautifully simple yellow pastel dress is so Springy and Summery! https://www.thredup.com/product/23605046 obsessed with this top! Too many to try to choose just one! I do love this though and what a great price! So excited for this giveaway! I can’t wait for the blogpost about your half marathon! Good luck! I LOVE maxi dresses during the summer months, which are quickly approaching! love the pop of bright yellow! Ive been wanting to try fabletics for a while! these look great for running! Ive used thred up before about bought some Ivory dresses for wedding festivities coming up, each were less than $5!!! With the colored under armour bottoms. Do they show sweat easily? I have a pair of grey bottoms and after an hour of kick boxing it looks like i peed my pants a little. ( I cant be the only one who has a sweaty bottom, right??) Since then I only wear black bottoms, but the colored ones are so cute!! I LIVE IN YOGA PANTS!! This is a great site to help with that. Thanks for sharing! They have plus sizes!!!! It is so hard to find my size anywhere. Thanks so much for sharing this, I love love love this shirt and buying secondhand!!! I’d live in active wear if I could! It’s so comfortable! Buying designer handbags second hand is genius! I am in need of some spring/summer workout clothes so this tank would be perfect! And I love the color! I have to say, I found your blog a few weeks ago and have been loving it! So thank you! Love this dress for summer! I love running shorts! I wear them all summer, even when im not working out! What an awesome business idea!!! I would for sure get a pair of designer flare jeans (I’m so happy that look is making a come back). And they ship to Canada! Woot! Woot! I am with you on the yoga-class-shirt-in-face-fiasco 100%. I think this tank would be flattering and solve that problem! This Patagonia would be perfect for all the backpacking I do…looks sooo warm! 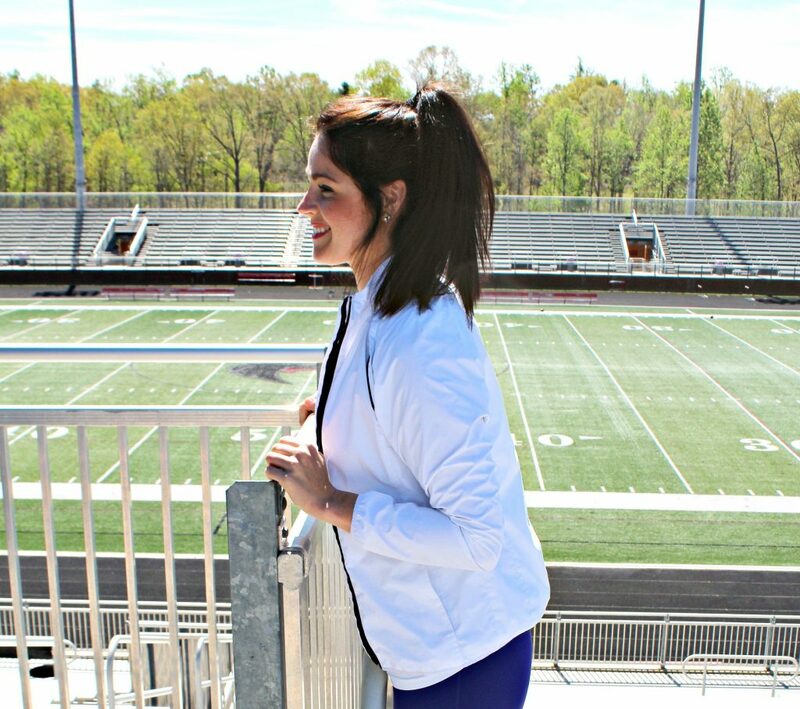 Love all the athletic clothing you choice and the colors are perfect for your new hair color! Since I’m a busy mom who lives in the deep south (with super hot and humid summers) I love having a good collection of skirts and dresses to choose from! I found both the dress and skirt below that look like they would keep me nice and cool, while also being something that easily looks “nice” and doesn’t need a lot of accessories. Thank you for your review and giveaway Taralynn and I hope you have a great day! I swear there’s so many good deals on there – especially the fitness clothes.. which I want to live in 24/7. This may have to go right into my cart! I love dresses like this one for summer. They can be dressed up or down! I really need some Spring and Summer clothing! I have been hiding in black all Winter >. < Time for a change! This top is just beautiful..something I haven't seen at the local mall or anywhere. 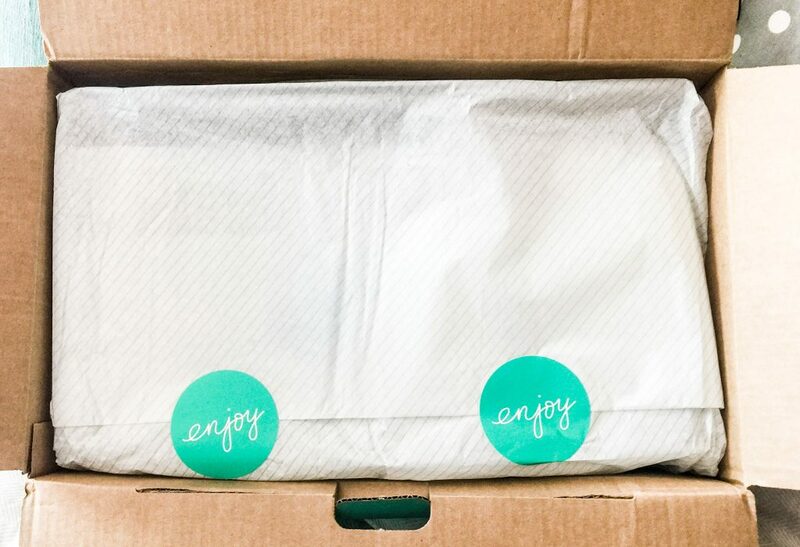 Thank-you for sharing ThredUp..like for real! I will be using them in the near future. So many options! It was hard to choose just one to post 🙂 I love this casual dress from J.Crew though! It looks perfect for spring/summer in Nashville! I would love this top, I need a few more running tanks! This active dress is seriously ADORABLE. My boyfriend and I play tennis a lot during the summer, and this is something that would be great to wear! I love it. would love this top (and many others)! You introduced me to thread up!! I love it!!!! Thank you! I love the Nike pants! Been looking for some royal blue ones! These are perfect! I wear workout clothes so much I feel like I never know what to wear when I have to put on regular clothes! There the best!! Love how you always find great deals! My sister introduced me to Thredup in December and I love it! Found this super cute spring/summer dress. I LOVE this top! It makes me think of summer and boating. Would look so cute with white pants. Chic and fun. Originally $135 and only $17.99 on ThredUp. Amazing! easy dresses like this are my fave! I literally just put in an order this morning! I’m in the process of getting my summer wardrobe set up since my husband and I just moved to Texas via California. Texas has just such hotter summers so sundresses, shorts, and sleeveless shirts are a must. https://www.thredup.com/product/24100376 – This romper is adorable so now here I am putting in a second order… I calculated my overall savings between these two orders and shared them below. So I spent $193.89 on clothes that would have cost me $657.89 if I bought them directly from the store. I’m in love. (I hope this isn’t a duplicate, but after I submitted it before, it went to a different post and not to this one. Every girl needs a good basic jean jacket and this one is a great basic. I’d love to get clothes that I can layer at work and outside of work like this! I love thredup because its like the best second hand store but you dont have to leave your home or spend hours on your feet searching!!!!! I love ThredUp! I just put in an order this morning but this cute dress wasn’t online then…guess I’m just going to have to put a new order in. I’ve actually never used ThredUp, and after looking at their site, I can’t believe it! Such great deals on really high quality clothing. This dress looks perfect for summer active/hiking/outdoor fun! Love this Nike sports bra! And I love the idea of shopping secondhand without having to dig through mountains of things! Hi Taralynn! 5 years ago I used your recipes and site for tips and inspiration to lose all my baby weight, now I’m doing the same thing now to get fit again after my second baby! Once I slim down a bit I would LOVE to flaunt this amazing dress around town! I love this!!! Perfect and light weight! Love that they have so many brands! I live in ballet flats! I usually stick to pastels and colors that go with everything but these turquoise flats by Mix No. 6 caught my eye right away! Such a fun color for summer! I think they’re a great stand out piece for a simple outfit! This site is so cool! Thank you for sharing! I’m a physical therapy major so I spend the majority of my labs sitting around in a sports bra, so it’s always a competition to see who has the cutest one! I love this one under the activewear on the side, it caught my eye but I kept browsing trying to find something else, but I just kept going back to the awesome leaf designs. Love it! 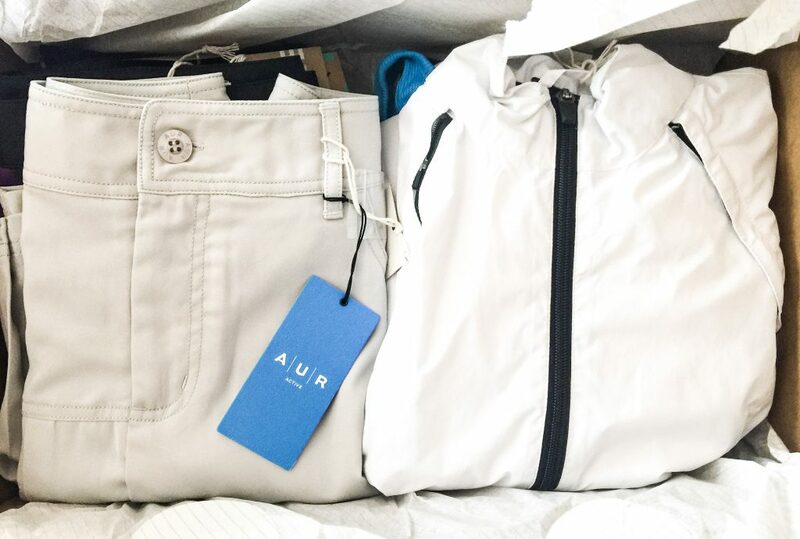 I’ve been prepping for a move to New England this Fall on Thredup! Lots of great coats, outerwear & boots! Lululemon top that will keep everything in place during downward dog, but look classy wearing it to the farmers market! Awesome! hey girl! I haven’t ordered from ThredUp yet but I visit every once in a while- I need to actually place an order! I DO love this jacket. I am training for a 10K now and though I’ve gotten lucky so far, I know the day is coming I have my long runs in the rain. Loving this Asics track jacket to keep me a little dry! I’m a sucker for a cute cardigan! This is perfect timing! I remember you posting about ThreadUp before and just yesterday I was thinking I needed to go back to check what the company was. I’ve been actively downsizing my wardrobe and realize I wanted to re-home some clothes (and find a couple of pieces I still need). Thanks for posting this! Can’t wait to get started using them. I think currently I’m on the hunt for some blouses for work. This one is perfect! https://www.thredup.com/product/women-banana-republic-factory-store-short-sleeve-blouse/24229735? You are a LIFESAVER with this website!! Legit I am always wearing gym clothes. If I wear jeans my friends are always like “Wow, Peyton, you’re so dressed up!” Lol. I love this dress for my bridal party this summer, and would be honored to win the giveaway! Love that & LOVE Savannah!! I think that’s exactly what you’d be doing! This looks like a fun top for summer!! I live in shorts!! less than $10, too! They are so expensive at the stores! I was shocked with Thredups selection! I love Thred Up! I also love new fitness clothes! You never can have too many! I love Nike but can’t bring myself to pay retail price! Thred Up has such great items! I really like this dress: https://www.thredup.com/product/x-bcbgmaxazria-casual-dress/23779201?sizing_id=765%2C778%2C768%2C775. I think it’d be great for the summer! For playing golf, then to lunch! I love ThredUP!! I’ve been using the site for about 2 years and have gotten some great items. One of the things I really love is the price on designer jeans. This brand fits me perfectly, which is so rare for my short, athletic/muscular and curvy legs. I could never afford to buy these at full price but ThredUP has definitely helped me buy well-fitting and good quality pieces for a fraction of the price! Something like these below are right up my alley and in my budget, so I may have a new pair of jeans on their way soon! Me too! I havnt tried any of the thredup jeans so I’m happy to learn they work for you!! i’ll have to do the same! So you also live in fitness clothes! I’m known for my bright fun pants at the gym. I need some bright fun shirts to wear with the few pairs of black pants I have!! These Nike Sweatpants are just so cheap!! So cute and cheap! Gotta love that deal! I also love all of your colorful workout gear! I have a neon orange sports bra that is my absolute favorite thing to wear. I have a couple friends getting married this summer, so I am definitely going to be looking for some cute dresses on thredUP to wear to them. I love colorful workout clothes too! This is a great site for your volleyball and all summer activities! This is my kind of dress and perfect for summer! Perfect and light fo summer! Love, love this dress! Perfect for work or going out for date/girls night. I LOVE Thread Up!! Thank you for introducing me!!! It’s basic and also really cute. I love the scoop neck, the back, and the straps (having it come in is really practical for me)! I also occasionally look for work tops and dresses on ThredUp too! Also, I’ve been following your blog for a few years, and it really helped to inspire me (I am grateful for your honest and sometimes vulnerable voice). I finally gathered the courage to try something new (pole fitness), and a few years later, now I’m teaching fitness classes too! that is cute and a great brand!! Thank you so much for your kind words!! I havnt tried pole fitness but it looks tough!! good for you, girl! I love this top and I love anything from J Crew. I love the golf/tennis set you bought (the blue and pink) — what fun colors! They have so many athletic clothes too! As a runner, track coach, and just general outdoorsy person, I am constantly in active wear as well! I love this green nike track top. It is such a beautiful color! Being a teacher, we don’t get paid a lot, so I am constantly looking at Threadup for my clothes. My best find to date…a $100 Anthropologie romper I got for $12 bucks! You literally LIVE in them then! So cool 🙂 LOVE how active you are! Such a great find! ANTHRO TOO!!! & i love that top! I’m all about exercise clothes! I wear them when I’m not even exercising 🙂 But, this would be a goal dress! You gotta have some incentive to keep moving right? I practically live in athletic leggings at school since I’m an athlete and we have workouts everyday. This site is a lifesaver!! thanks for the share!! You’re welcome! Perfect for your lifestyle!! Sorry to hear that 🙁 I understand how scary anxiety can be. I don’t know where I’d be without my doctors. & that is gorgeous! You’d look lovely in that! So perfect for the hot weather here in Georgia.. plus the humidity. Ick, lol. I’m a stay at home mom to a busy baby boy so I find that if I stay in athletic clothes, I’m more likely to work out. So I also wear them 80% of my life. I’m all about comfort! 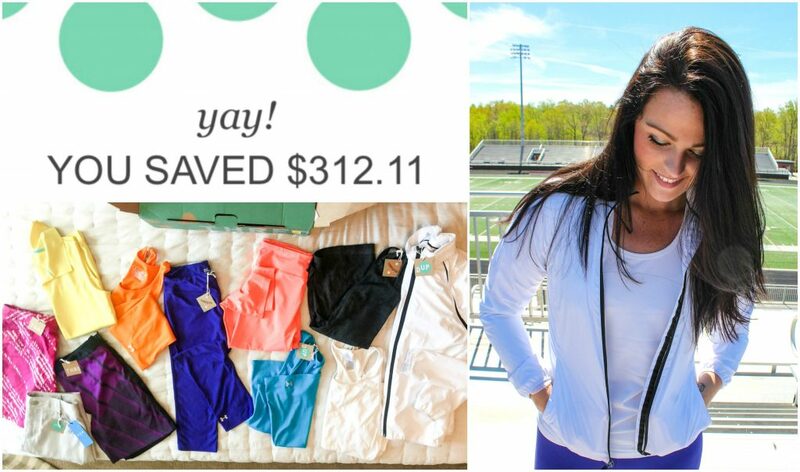 I love that LULU & ATHLETA is on thredup!! ME TOO! espicially for yoga! i hate when they go all the way down! Taralynn- first, all those bright colors look amazing on you, especially with your dark hair. Love!! I found this cool top on thredUP https://www.thredup.com/product/women-adidas-active-tank/23923224. bright, different, yet looks comfortable for a workout! I can’t believe I haven’t heard of thredup before, especially with my active wear addiction. I’ve been inspired by your posts for so long now! Especially a few months back when I was starting to run again- I read your post about how you *safely* got back into running. I was a dancer for years and had to be careful with injuries, and your training schedule really helped me to be a better runner! I’ve recently slipped into a bad habit of putting fitness on the back burner, but I’m determined to be fit again!! I’m actually excited for my run after work today. Anyway, I know cute and fun outfits keep me motivated, so thredup is a great discovery!! thanks!! Love that top!!! I can’t believe you haven’t heard of thredup either! I am so happy for you and your determination to get back into fitness! So exciting 🙂 YOU GOT THIS!!! Love this shirt! Perfect for work or a night out–versatile clothes are the best! I am obsessed with this top, thanks for the chance! cute! seems like a favorite! Looking for a casual dress for an outdoor work event, and this is perfect! I’ve used thredup before while losing weight, and am back in the market for affordable clothes as I lose again! I’m always looking for athletic-wear that I can wear to class! I usually like to wear athletic-wear to class so that I can go for a run afterward, before heading to the library; my university’s campus is so great for running-beautiful oak trees shade the sidewalks to keep you cool while running in the Florida heat! I’m in law school, so there is a sort of unspoken rule to “dress to impress” for class. Obviously, sometimes the “dress to impress” rule clashes with my personal preference for athletic-wear. 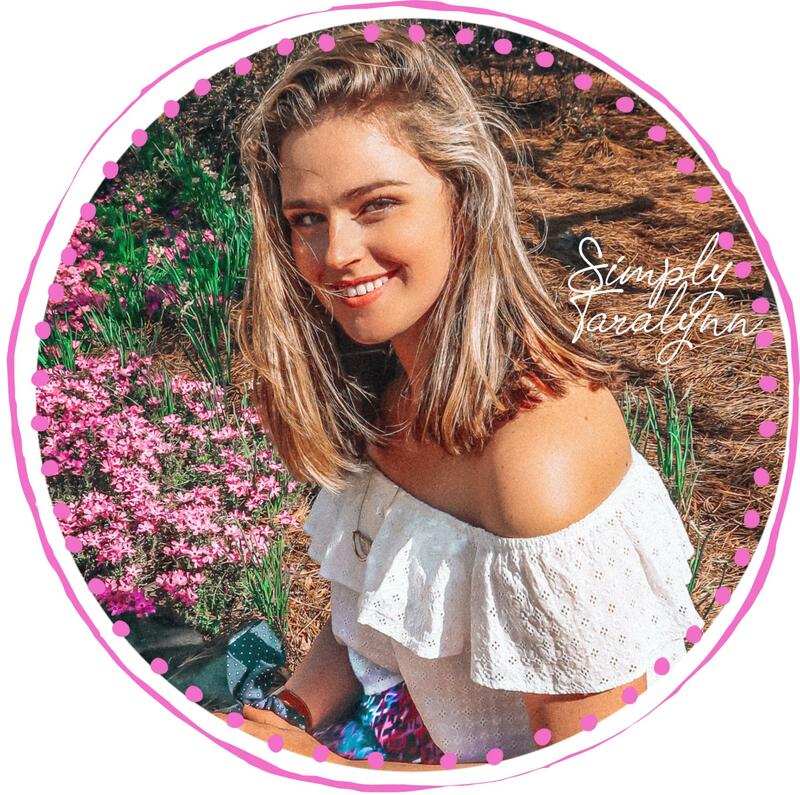 This top is perfect, though, because it’s both athletic-wear AND cute; it’s a vibrant color with a cute fit that would go with shorts or pants, colorful or neutral…so much nicer than the typical “running” t-shirt! Being a law student also means I’m constantly trying to budget and save money, so I’m all about the discounts! I also noticed that they have cute “dressy” skirts and tops that are perfect for events at school where the dress code is business casual. That’s awesome! Thanks for introducing me to ThredUp! That is so cute!!! I saw someone else like the same jacket! Great for discounts too! Awesome you’re in law school!! good for you!! Hope you find some fun things for your career and classes!! I love love love using ThredUp for my baby’s clothes. She grows so fast, I can get adorable things for her (like this little Gap dress that is going in my cart immediately) without spending my entire paycheck. ThredUp is great! I love that they offer clothing for kids and babies. Kids are so tough on their clothes and they GROW SO FAST, so it’s such a great idea! Oh, so cute!!! Great for weight loss! I also live in activewear! i love zip up’s…this jacket looks so comfy (and bright!) for running! Love pairing bright tops with black bottoms. p.s. 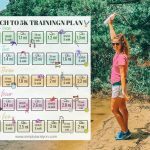 you’re running story has inspired me….i’m so injury prone but i’m starting to take it slow and getting myself back out there to return to running half marathons! good luck on yours! Thanks Kelley! I’m also prone to injury so I get very nervous! I’m six days away from my race and my hamstring is in so much pain, so I’M PRAYING that it’ll get better!!!!! Just make sure to work your way up!! I am really basic/particular when it comes to my work out clothes, I love finding inexpensive good quality black tanks! You got me hooked on ThredUp from your first post!! Love that some of the items are brand new, too! Hahaha love that 🙂 & I’ve been hooked too!! I’ve been looking for a nice pair of active pants, these look great! THey have the best! and those look great! I love any and all under armour! Really lovin this hot pink tank, perfect for summer ? That is adorable and I love Under Armour too! Nike athletic shirt’s are my favorite to run in! I love this Free People top, and what a great price! I’ve had fantastic luck with dresses from ThredUp! Perfect from the impending bridal season! I’ve been thinking about using ThreadUp for sometime now. This may be the push I need! Hahaha for sure! & i LOVE the feel of the lulu tops! I shop on ThredUp ALL. THE. TIME. Those workout pants have caught my eye a few times I have scrolled through there, I just haven’t brought myself to buy them yet! & I love those running shorts! OH, and perfect dress for your bachelorette party!!! I’m digging this colorblocked tank from the Ralph Lauren Active line. The neckline is so unique and I love the color combo! This dress is too cute, perfect for any spring wedding or a date day or night! ^^ This top is so cute and a perfect workout top 🙂 Cant go wrong with some fun color! 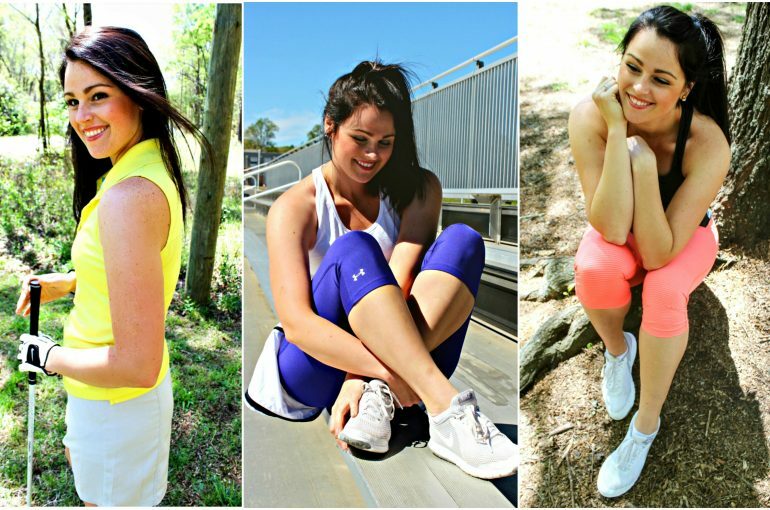 Love this post I was actually recently wondering where you get your workout clothes from haha! Thanks for sharing girl friend! I’m not sure if my last comment posted ? All the clothes on ThredUP are too cute! Taralynn I just love your outfits & style!! Oh and I wish I could have your hair! ?? This is a great start, Becky!!! I love how comfy this tank looks, and I’m a sucker for graphic tees with a little sense of humour. Plus, I hate burpees. Love this Track Jacket, perfect for running when it’s dark outside. They have such adorable clothes! I’ve always absolutely loved your outfits Taralynn! I’ve never used thredUP before but I am definitely going to start. I love this dress! I love all of LOFT & ANN TAYLOR dresses! Perfect material and length. I JUST bought one of their dresses yesterday! I love the Kate Spade New York Leather Shoulder Bag! Now I know where I can get good deals on Kate Spade! I love this bright tank. It is about to get real hot here in Cali, so this would be perfect. I’m loving the cool mornings and evenings, this long sleeve would be perfect for the spring season. Thanks for sharing Taralynn! Very cute! & you can’t go wrong with nike! Seriously so good for professional wear!! I use ThredUp all the time for special occasions as well as my everyday wardrobe. Love all of their BR options! Great quality! OBSESSED with this shirt (https://www.thredup.com/product/women-nike-active-t-shirt/24145052?sizing_id=790%2C795%2C781). You’re such a great inspiration and I can’t wait to continue following your half marathon and health journey. Congrats on your weight loss! Sorry about your injury 🙁 I know how that goes!! I’m kind of suffering from a small injury six days before my half! SCARY! Keep on pushing forward! xo & cute nike top! Love that and Old Navy has REALLY comfortable fitness clothes! I agree with you!!! :) I bought a black dress on Thredup two year ago and I’ve worn it more than any other outfit I own! This SPORTS BRA!! It zips in the front to come off. No more struggling to wiggle out of one when I’m covered in sweat! Thanks for the great post! I LOVE these teal yoga pants! All my athletic bottoms are black – I need to spice it up a bit! New York City With CVS!